+ three = 6 Required Please enter the correct value. 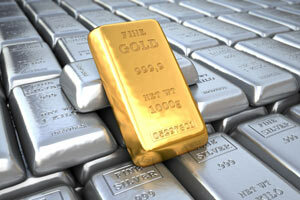 Gold and silver are widely considered the best "crisis insurance" for any portfolio. Buying them, though, isn't always as simple as purchasing a stock. Investing in gold and silver is all about maximizing performance, minimizing risk, and strengthening your portfolio with an enduring, stable store of value. And with geopolitical tensions heating up, buying gold and silver has never been more critical to your investing strategy. Learn how to buy with confidence today with this essential guide.